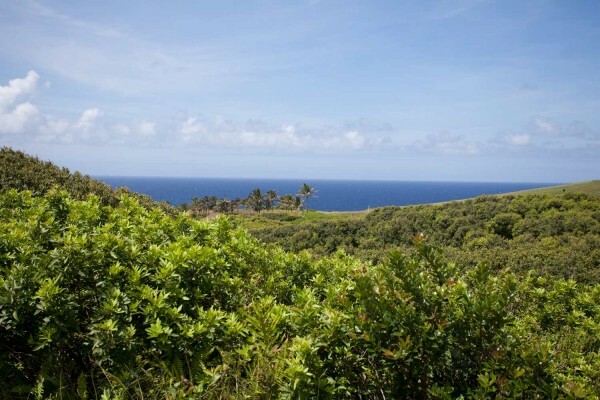 Looking for seven acres along a stream, almost oceanfront, in Haiku, Maui? If so, try 715 Honokala Rd. on for size. This is a fantastic value at $550,000. If you are looking for a spot larger than the standard two acre lots you find on Maui at about the same price, you may want to consider this property (MLS# 361900). Located 1.5 miles off the Hana Highway in Haiku, Huelo, Maui, you have great roadway access and are a short hop to the civilized world. There are several different sites for building with ocean views. This property has many options as it has a stream that crosses through that runs almost all the time. If you want to do some agriculture, there are several flat areas, currently in cow pasture, that should offer great productivity for your gardens and orchards. About 3 of the acres follow along the stream and have huge old trees along both sides. There are some huge mango trees that could be 100 years old and a few tall old coconut trees too. With the varied topography, you have the option to create multiple sites for structures and gardens. The property is being sold with a deeded easement over the adjacent 27 acres to a site that borders the oceanfront state owned property. 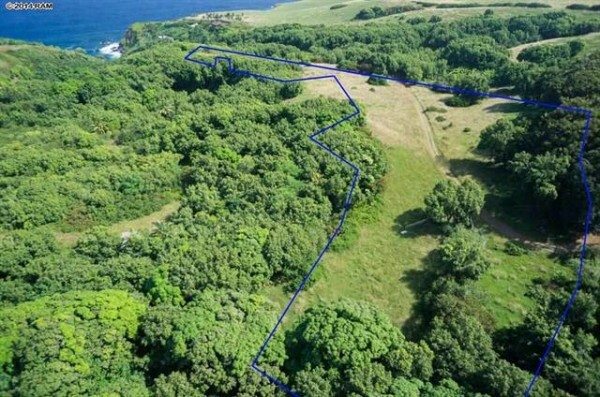 A trail can be created from this spot to directly access the small bay below, which has great fishing and diving, and occasionally a very private surf break. This area does not have any utilities available, so you will be a dedicated off the grid owner if you take the challenge. All nearby owners have water catchment tanks because the annual rainfall is around 70 inches. Power is generated by photovoltaic and wind systems. Internet is via satellite link. If you don’t want utility bills, and you want to eat what you grow, take a careful look at this sustainable property. Unspoiled by paved roads, street lights, and utility poles, you only have the blue Pacific, Haleakala Volcano, and the Milky Way in your view. Just as the deals seem like they have all dried up in Haiku, we decided to bring you a belated New Year’s present. We have two parcels located near the intersection of Pakanu/Upper Ulumalu/Waipulani, which are two great Haiku real estate listings that offer some real upside potential. The first property is a vacant land parcel that is 2.5 acres with full utilities available and a county water meter priced. This property has two nice building sites, ready to go. The topography is varied on this lot. An intermittent stream runs through the lot and there is a large flat area in the middle of the lot that would be perfect for farming along the stream bed. Right now, there are many wild coffee trees growing here. Zoning allows one large home and a farm dwelling that can include 1,000 sq.ft. of living area. You also may build other farm related structures such as barns, packing sheds, and agricultural fruit stands. Priced at $349,900, this is the lowest priced 2 acre lot in Haiku with a water meter. This lot does not have an ocean view. The second property is also 2.5 acres, with a plantation-style house about 900 sq.ft., and a large covered deck on two sides of the house. The house has been recently remodeled with a new kitchen and appliances, interior and exterior paint, all new windows and doors, and many other upgrades. This property is adjacent to the vacant lot above and could be part of a compound including a house and farm dwelling on each lot. 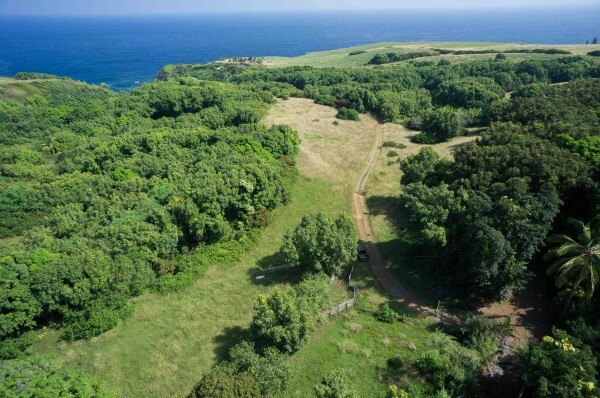 Half of this property includes a forest of 100-foot tall Eucalyptus Robusta, which are a timber grade tree, widely used on island for construction on Maui in the 1970s when Helle logging had a mill in Puunene. So, buy a small mill, mill your own lumber, and build a cabin. I actually owned a Mobile Dimension mill in 1982 and we milled a lot of Eucalyptus in the Olinda area that was used for fencing and some construction projects on Maui, so this is a real possibility. This property also has full utilities, an existing cesspool that services the present home, county water, phone and cable nearby. Price is $599,900. I live in very close proximity to both of these properties and can show both of them on relatively short notice. I have lived in the area since the late 1970s and am very familiar with the climate, developing land, and various agricultural endeavors, and love living my Haiku life – let me show you the way.